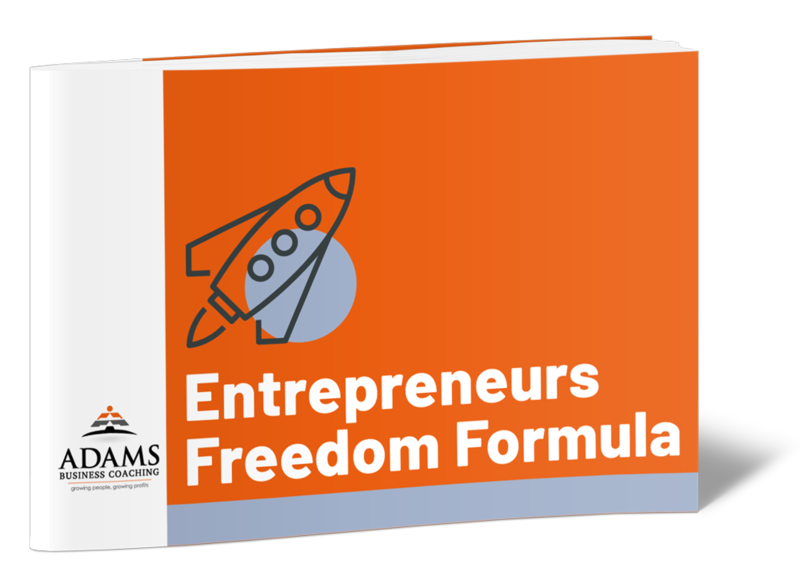 "Adams Business Coaching: Mastering Your Business Is As Easy As A--B--C!" Simple 1-to-1 mentoring to quickly perfect business strategies and Management systems, all saving you time, making more money and bringing your team together. One of my favourite things is to develop something that has not yet reached its potential. And I’ll tell you why -- because working hard to take something from being “good” to “great” makes the achievement BIGGER. My name’s Chris Adams by the way, and like you, I’m a business owner. My main aim is to help people take their own businesses to the next level by showing them how to excel in management and growth through the use of simple tools, techniques and systems. ​Do YOU feel that you are better than the results that you are currently achieving in your business and life? Question: What makes the difference between thriving and barely surviving in any business, in any economic climate? Answer: It’s not the product or service; it’s the skills developed and applied by the company leadership. THAT is the key element. One of my favourite things to do is to develop people to reach their potential. That way, they spread their success and achievement onto others and it becomes an unstoppable force for constant improvement, within the business. The individual or team get a great sense of accomplishment and because it can sometimes be difficult to take something from being “good” to “great”, it makes the achievement BIGGER. My name is Chris Adams and I’m a business coach for business owners and an executive coach to high performing employees. This means that I understand the journey (or rollercoaster!) that a business takes it's leaders on and I can truly empathise with you. My aim is very simple - it is to help people like you to ACHIEVE YOUR GOALS. I work with passionate business people who are open to new ideas and who are determined to take their business to the next level. A client will always know more about their business than I will. The key is that by working with me as their business coach, I will use my coaching skills to ask them the right questions and then, TOGETHER, we will implement the correct strategies. This may be a new way of working, a mindset shift or developing practical business systems for the business, be it financial, sales, operations or recruitment / team development. Over time, the key is to develop the individual to achieve THEIR goals according to a plan which we develop to ensure that the individual's goals are in alignment with the company objectives. Whenever leadership is enhanced, this improves the management and effectiveness of the team around them. The consistent growth of the business is then achieved through the use of similar tools, techniques and systems. Previous clients (who I like to think of as ‘partners’) have doubled operational efficiencies, improved cash flow and reduced stress levels which had increased over many years due to workload and debts. Unlike most traditional consulting firms, ABC provides both short-term assistance and long-term training. Before anything else, you’ll go through a discovery process to identify where you need help so that the right coaching programme can be selected, just for you. Through 1-to-1 mentoring (a mixture of Skype calls, phones calls, and onsite meetings) you’ll discover secrets you never knew about business management and learn all sorts of strategies and techniques. No one wants to feel like they’re back in school by burying themselves in books, essays and flowcharts. That’s why ABC’s coaching style has been adapted to feel more like getting friendly advice… accurate advice from an expert, that is. I provide both short-term intensely focused assistance where there is an immediate business need and also long-term coaching which gives long term lasting results. No one wants to feel like they’re back in school by burying themselves in books, essays and flowcharts. That’s why my coaching style has been adapted to feel more like getting friendly, expert advice (and a bit of a push too! )… to ACHIEVE YOUR GOALS. "I have been working with Chris for over 10 years now and we have consistently grown sales & profitability and completely transformed and systemised all aspects of the business, during which was a particularly difficult time for pharmacies, due to govt. cutbacks"
"We worked with our business coach, Chris Adams, for over a year. Chris helped us to increase our sales by 15% up on the previous year"